I entered the Virginia wine industry in 2000, straight out of college, and instantly recognized the potential for this state to produce amazing wines. I was still young then and needed to take a journey to find my niche, but I always envisioned returning to Virginia. When I did, I realized that sometimes it’s difficult for winemakers to get quick deliveries from suppliers in California when products are needed in the middle of harvest. Or in a difficult vintage when the rain just won’t stop! I partnered with Scott Laboratories and Laffort to act as a retailer for fermentation products on the East Coast. I have common products in stock in times of emergencies, and I can get most other products to the customer (that’s you) typically within a week. If you live or work within 25 miles of Leesburg, Virginia, I offer free shipping, which is often hand-delivered. When you call or email me, you’re not just getting a sales person… you’re getting a winemaker who, in many cases, has used most of the products she sells. I not only give you a price, but I give you a piece of my experience. 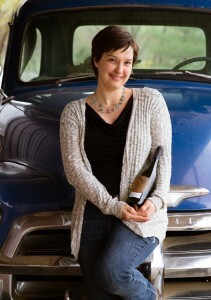 2011-present: Supporting my local winemakers with Alchemy Wine Supply and Virginia Wine Consulting.